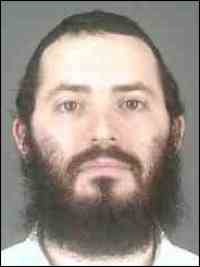 …may be the director of Chabad of Colonie, near Albany, NY, Sholom Rubashkin's son-in-law Yaakov Weiss. ALBANY — Another child has accused a local rabbi of sexual abuse, city police said today. Police spokesman Det. James Miller said the 13-year-old boy was identified as another alleged victim of Rabbi Yaakov Weiss, 28, of Loudonville, during the initial investigation of a referral from the New York State Child Protection Agency. Weiss, rabbi at Chabad of Colonie and founder of the Chabad Hebrew School, was charged Sept. 29 with several counts of sexual abuse and endangering the welfare of a child for alleged incidents involving another 13-year-old boy as a result of the initial referral. The latest allegations involve an alleged incident that occurred in June on Whitehall Road, Miller said. Weiss was charged with second-degree sexual abuse and endangering the welfare of a child this afternoon in response to that allegation and was arraigned in City Criminal Court.